Home » Blog » How are Corporate Tax Singapore and GST Helpful to Businesses? It is a well known fact that one of the prominent reasons behind the economic surge of Singapore has been its tax system. Not only does the nation boast to have lower tax rates but the progressive nature of Singapore taxation has also ensured that the businesses benefit immensely. 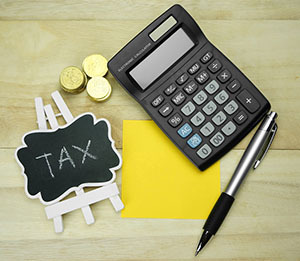 When it comes to businesses, the type of taxes which matter primarily include the corporate income tax Singapore and the goods and services tax Singapore. The existing Singapore corporate tax rate 2013 stands at a flat 17%, while the GST Singapore tax rate is 7%. However, this does not give us a clear picture of the benefits associated with the aforementioned taxes. Hence, in order to shed more light on how these taxes help the business entities of Singapore we have come up with this informative write-up. The Singapore company tax apart from its headline tax rate consists of effective rates that hugely benefit the startup companies. The newly setup companies in Singapore can avail full tax exemption for their initial 3 years on profits up to S$100,000. Additionally, taxation Singapore provides partial tax relief for all companies whose income is up to S$300,000. Furthermore, Singapore companies need not pay tax on capital gains like fixed assets etc. Also, there no tax on foreign-sourced income in Singapore. And most importantly, the Singapore government with a view to encourage the small & medium sized enterprises to innovate and enhance productivity has introduced the PIC (Productivity and Innovation Credit) scheme. Under this scheme, the buyers of products that qualify for PIC, can avail benefits such as up to 400% tax deductions or S$60,000 in cash payouts. The goods and services tax Singapore is by far one of the lowest in the world at 7%. The Singapore regime has introduced various schemes which will help companies voluntarily going for GST registration Singapore. Schemes such as Goods and Services Tax Assistance Scheme, Third Party Logistics Scheme, Hand Carried Exports Scheme & Zero-GST Warehouse Scheme allow the small & medium sized enterprises (SMEs) to avoid paying GST tax Singapore. In addition, GST registration Singapore enable SMEs to be recognized as established entities which positively impacts its business, investors, shareholders and public at large. Lastly, the overall costs of doing business are reduced, since the businesses can actually claim their GST which they paid to the suppliers.